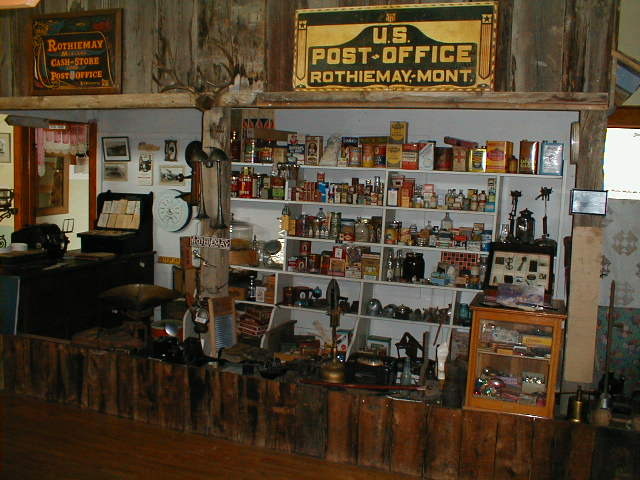 The choices were few at the old time general store compared to today's modern shopping malls. But the people of the area could purchase supplies, get their mail and hear the latest gossip all in one place. 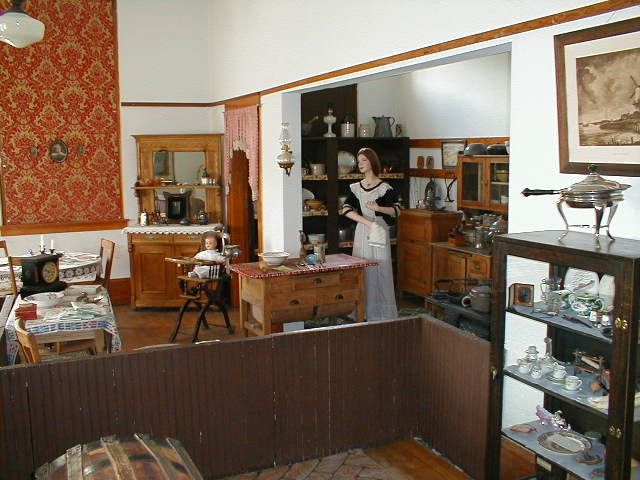 There were no computers or video players in the old one-room school house. But children learned, and played and kept the teacher well stocked with apples. 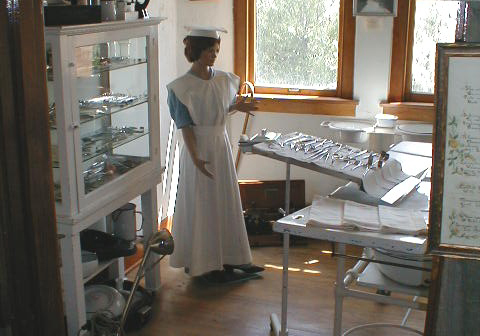 The old hospital has been recreated in this display of early medicine, complete with the tools of the trade of the period. Enjoy the large collection of antiques arranged as rooms appeared in days gone by. The museum hosts an amazing collection of rocks and fossils found in the Musselshell Valley region. Each is well displayed and labeled. A gallery of antique firearms is on display. 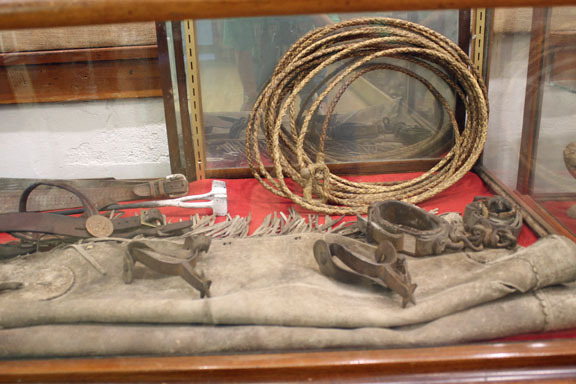 These are mere examples of all that awaits you at the Musselshell Valley Historical Museum. 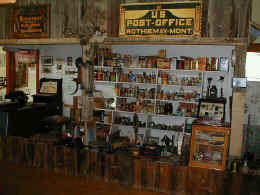 In addition you'll find a replica coal mine shaft, telephone operators switchboard, an original log cabin, wildlife display, western art and much more. The museum is a treasure for historians, nostalgia buffs, and the curious alike.